DeepSoul: William DeVaughn - "Be Thankful for What You Got"
This 1974 hit captured a particular period in R&B and helped define today's hip hop culture. Diamond in the back, sunroof top/ Diggin' the scene with a gangsta lean. These words come from a '90s or 2000s rap track, right? Wrong--they actually derive from a 1974 hit entitled "Be Thankful for What You Got." While it ultimately ranks as a one-hit-wonder, William DeVaughn's words linger in today's pop culture landscape. From the moment DeVaughn wrote the song, it seemed an unlikely hit. According to AllMusic, he was a government employee and part-time entertainer in Washington, D.C. in the early '70s. On a whim, he booked a $900 recording session at Philadelphia's Omega Sound, Inc. At the time, the operation functioned as a vanity label, and normally would not guarantee success in any form. But DeVaughn struck gold with his backup musicians: MFSB's rhythm section. The in-house band for the legendary Philadelphia International Records label played on what would become "Be Thankful for What You Got." 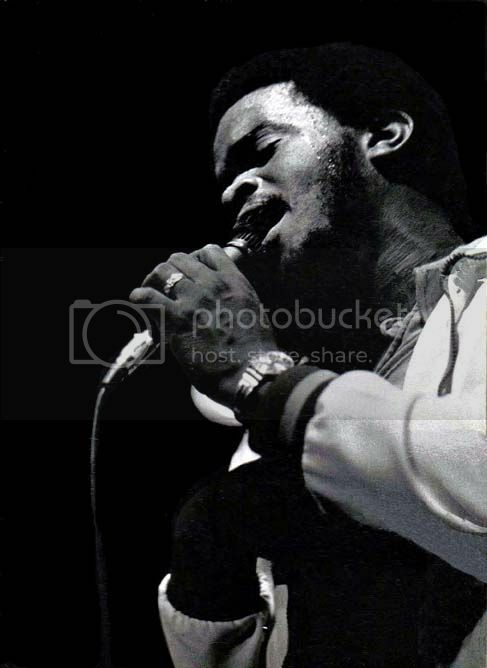 Omega vice-president Frank Fioravanti heard the single and immediately began shipping it to various labels; the Roxbury label scooped up the track, and the Frank Fioravanti-produced and John Davis-arranged version dropped in 1974. Clearly the smooth track and DeVaughn's Curtis Mayfield-reminiscent voice struck a chord with listeners as it reached number one on the R&B charts and number four on the Billboard Hot 100. To this day, fans debate the lyrics' meaning. Is DeVaughn promoting materialism or decrying it? As a gentle beat (accented by conga drums) introduces the track, he begins with the words "Though you may not drive a great big Cadillac/ Gangsta whitewalls/ TV antennas in the back." It appears initially that DeVaughn glorifies these images, but he adds "You may not have a car at all/ But remember brothers and sisters/ You can still stand tall." A scratchy guitar riff accents DeVaughn's pronouncement to "just be thankful for what you got," which seems consistent with DeVaughn's Jehovah's Witness background as well as the gospel theme of his debut album. But the chorus apparently contradicts this sentiment, as he chants "Diamond in the back, sunroof top/ Diggin the scene/ With a gangsta lean, wooh-ooh-ooh." Yes, the words do conjure images of 70s pimps with their enormous cars and flashy clothes. But he is really speaking to those who do not possess cars and jewelry, preaching that his "brothers and sisters . . . can still stand tall." In addition to DeVaughn's breezy falsetto vocals, the instrumentation proves crucial to "Be Thankful for What You Got." Larry Washington's conga drums add just a hint of Latin flavor to the soulful beat. The steady organ provides a bluesy grittiness to an otherwise smooth track, while Ron Baker's bass helps propel the rhythm. As AllMusic's Ed Hogan rightly points out, the song contains only two chord changes, which "sort of helped to keep the focus on the lyric's theme." Interestingly the album version of "Be Thankful for What You Got" lasts over seven minutes, allowing DeVaughn more time to develop his message while the band establishes a groove that truly embodies the term "rhythm and blues." While it remains DeVaughn's only big hit, the track's legacy endures. Massive Attack included a faithful cover on their landmark album Blue Lines, and rappers from N.W.A. to Ice Cube to De La Soul have sampled or otherwise referenced the song. "Be Thankful for What You Got" may have sonically captured a particular period in 1970s soul, but it also helped define today's hip hop culture. More importantly, it delivers an everlasting message: possessions alone do not define an individual.